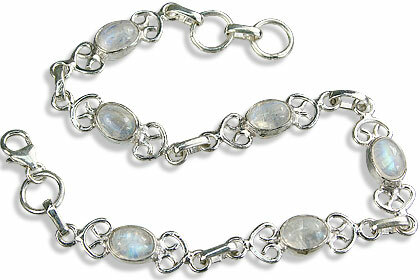 One of the most looked for semiprecious gemstone, Moonstone is desired and loved by all for its natural rainbow shimmer. 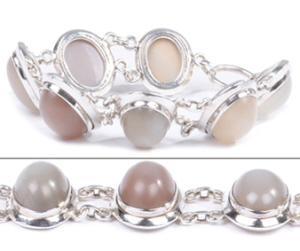 Some varieties of moonstone are also available in colors other than gray/white.We used the choicest selection of rainbow moonstone in this display of moonstone beaded and silver bracelets.Wonderful jewelry for outdoors. 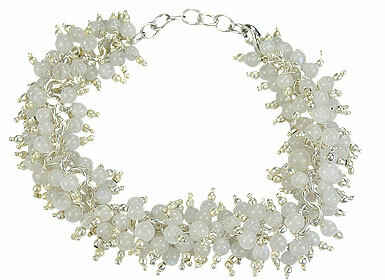 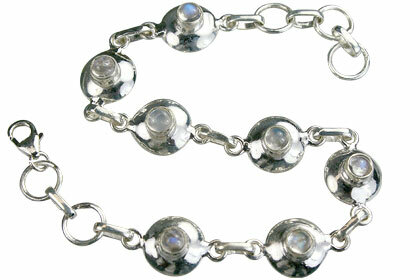 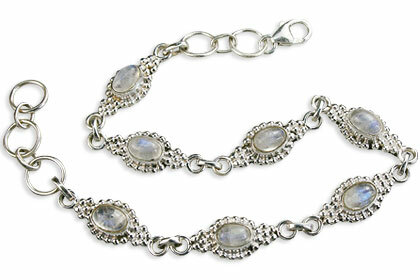 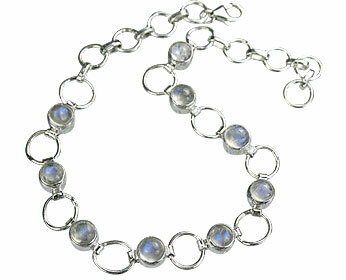 wear a moonstone bracelet on your wrist and feel like walking on the moon. 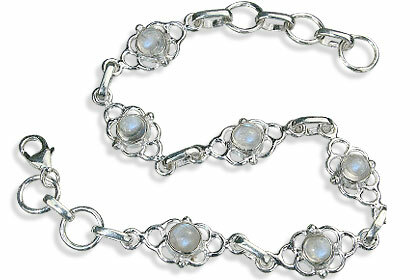 More about Moonstone: Moonstone has derived its name from the resemblance to the color of moon. 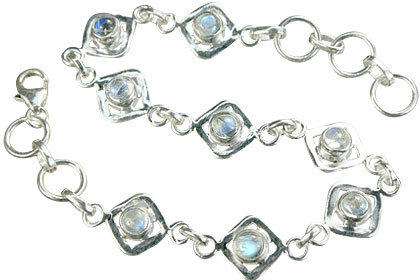 Moonstone was very popular with the Romans, who thought it was formed out of moonlight, and used it in Roman jewelry since 100 AD. 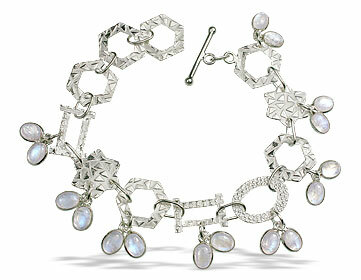 In India moonstone is considered a sacred stone to this day. 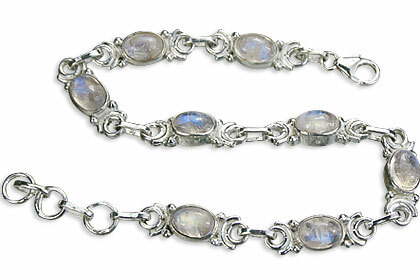 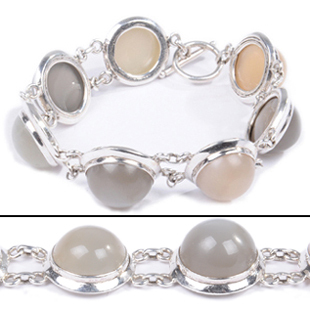 Moonstones come in a variety of colors, ranging from colorless to white, gray, brown, yellow, orange, green, or pink. 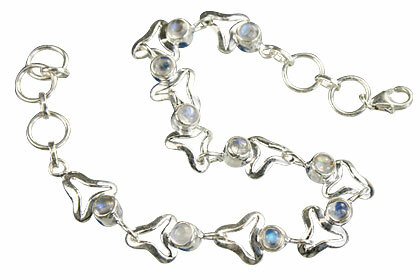 Clarity ranges from transparent to translucent. 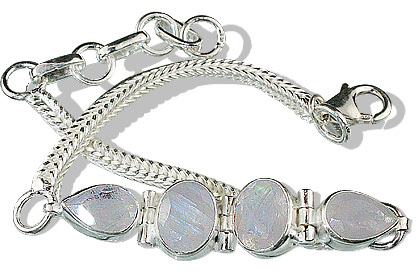 One of the most beautiful stone, moonstone exhibits a mysterious shine of the moonlight and is the sacred stone of the moon goddess. 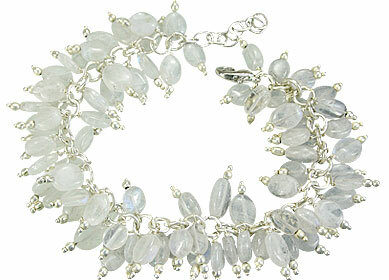 It stimulates knowing, appreciation, nurturing, mothering, selflessness, sensitivity and humanitarian love – all qualities of the feminine moon goddess. 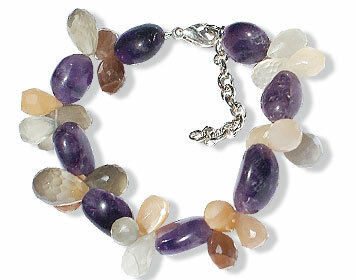 People use it for problem solving and decision making and as a protective stone when you sleep with it. 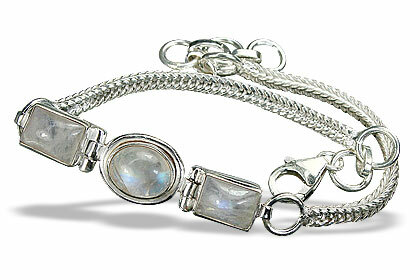 For physical healing, Moonstone is essentially for female health. 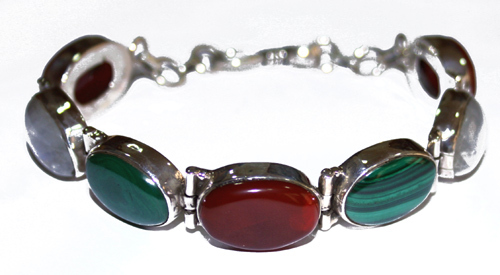 Reduces excess fluid in body and alleviates swelling due to it; most beneficial for pre-menstrual troubles as it balances hormonal and menstrual cycles of women. 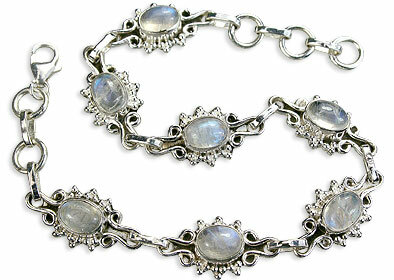 Moonstone is found in Brazil, European Alps, India, Madagascar, Mexico, Myanmar, Sri Lanka, Tanzania, and USA (Pennsylvania and Virginia). 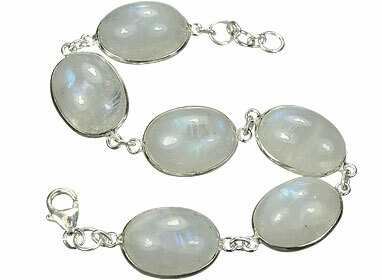 Sri Lanka produces the highest quality moonstones.